A potential pitfall for many new Adwords advertising is simply the false pretense that Google’s default Adwords settings are in the best interest for all advertisers. That’s simply not the case. Here are a handful of tips that can take just minutes but provide a significant lift in your online advertising campaign performance. Google defaults each new campaign to target theUnited StatesandCanada. If you don’t ship internationally, this is a clear opportunity to narrow your targeting. If you are a localized business serving a specific area there is further opportunity to narrow in your focus by targeting a specific state, city or even specific mile radius surrounding your business location. Advanced Tip* If you are targeting multiple countries, set up separate campaigns for each country. Each geographic area will perform differently due to variances in search behavior. Separate campaigns will provide you much deeper insight into each location’s performance and allow for smarter decisions on keyword optimizations and bid management. Adwords defaults to target all networks. This includes Google.com, as well as their search partners such as Ask.com. Additionally, this default setting also targets Google’s Display network (also known as the content network) which targets 3rd party sites and will display ads on these sites based on your initial keyword list. Google.com searches vs. Google’s search partners can result in very different search behaviors. In order to determine whether Google’s search partners are performing, simply run a campaign report and be sure to add an additional segment to the report: Network (with search partners). Very quickly, you can see the performance differences. Based on this data it may make sense to remove the search partners targeting. When it comes to the Display Network, regardless of performance, this should be broken out into its own campaign in order to properly measure performance. On Google.com you are displaying your advertising message to someone actively searching for what you offer (i.e. they have chosen to type in a specific search query indicating intent). On the Display Network, you are ‘pushing’ your advertising onto the viewer as they are not actively looking for your advertising message. As a result, performance of each network is very, very different and should be measured in isolation. Regardless of full HTML browsing on iPhones and Androids, the experience for a user can still be very poor on a much smaller screen if your site is not mobile-friendly. If not, this is a clear opportunity to save some of your budget and remove mobile targeting. 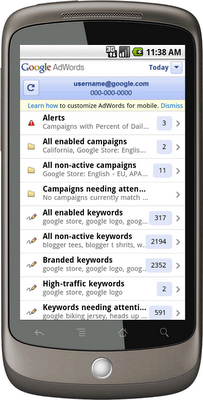 *Advanced Tip: Consider breaking out your mobile campaigns into separate campaigns targeting only a specific mobile device. Tailor your ad copy to speak to the device you are targeting. For example: “Shop our products from your iPhone.” This will increase your click-through rate (CTR) and make the extra time spent setting up these individual campaigns more worthwhile. Google’s default is 24/7 ad scheduling. More than likely, there is a peak time period in which business takes place on your website. Make sure to make some educated decisions on how to target during the day. First, review your website analytics for insights based on total traffic. Second, compare that to an Adwords campaign report that includes two additional segments: day of the week and hour of day. Do you have a business that’s only open during the week (and not on weekends)? Based on the data it will probably makes sense to remove Saturday and Sunday from your ad schedule. Are you are a restaurant that peaks around lunch time and/or dinner time? Consider adding a 20% bid increase from 11 am to 2 pm and/or 5 pm to 8 pm, for example. If you generate sales leads, but your call center is only open from 8 am to 5 pm, update your ad scheduling to only target that time period. The point is, this is completely customizable to your business needs so make sure you aren’t paying for clicks that won’t provide you the opportunity to increase your bottom line. The benefit of paid search in general is the ability to measure, measure, and measure some more. It’s the ability to determine ROI down to the penny that has caused this advertising medium to explode in popularity for Fortune 500 companies all the way down to self-managed entrepreneurial campaigns. With that in mind, getting insights into your keyword’s performance is the first real step in making that measurement a reality. First step is to click on the “Reporting and Tools” tab and select “Conversions”. Here you can set up as many conversions points as you need. 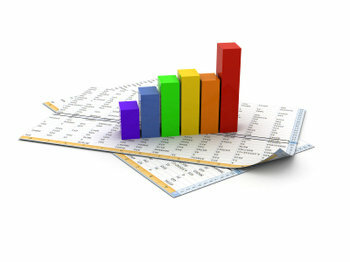 With that in mind make sure you are measuring all conversions points: sales, newsletter signups, contact forms, etc. By setting up unique conversions you can get deeper insights into how paid traffic interacts with your website. Once you’ve finished setting up your conversion, Google will provide you with a simple code that will need to be added to the conversion or “thank you” page ONLY. If you have a webmaster or IT team that manages your website, there is a link at the bottom of the page that will allow you to not only mail the conversion script but will automatically include simple instructions on its implementation. Simply drop in your webmaster or IT departments E-mail address and you’ll be enjoying deeper campaign insights in no time! About the author: Post provided by Jon Clark an Internet Marketing Consultant who writes regularly for www.OnlyFacebook.com providing Facebook marketing tips as well as www.CaliforniaApartmentsBlog.com offering Tips on Apartment Renting. Hmm… This is all quite a lot for me to take in at the moment! I do understand that Adwords, is Google’s main advertising product and it is where they offer advertising services for clients. What I don’t get is – how? exactly does Google do this? Bear with me on this one as I’m still trying to figure out all the information that I’ve just read. Can a kind soul care to explain? This is an informative post. I’ll consider everythig you have listed. These are important tips for me to improve my performance since I work in an advertising agency and an internet marketer at the same time . These are good advice. I only have a small business and I wonder if I could sell it to other countries. I’ll think about that. This could be the way to make my business grow.